Last Friday was a beautiful spring day and perfect for this year's grand opening of The Firehouse's courtyard patio. I must disclose that I was invited to sample the new spring menu. Therefore, this is not a review piece, as my meal was comped. 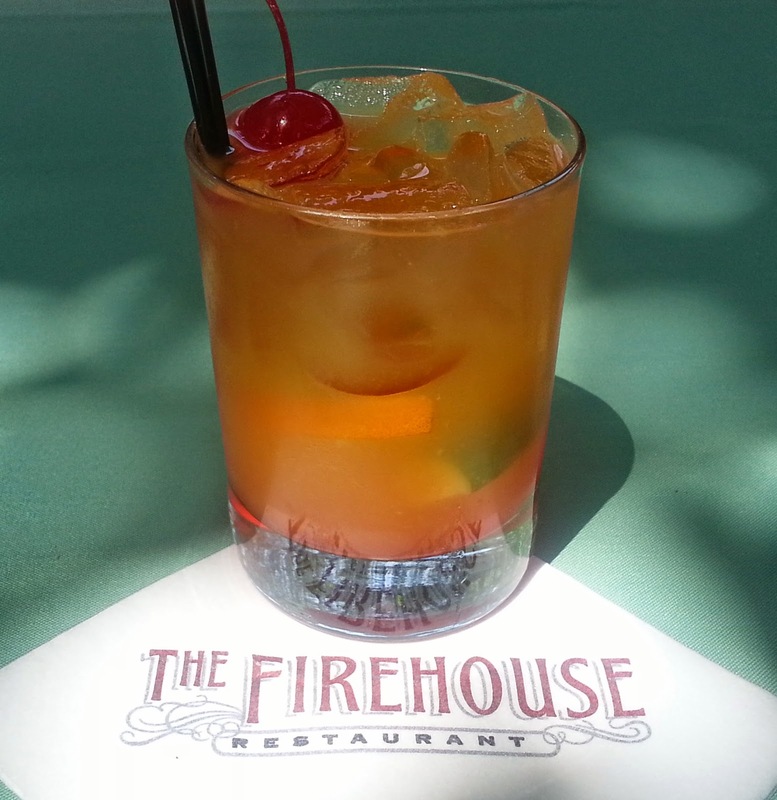 The Firehouse has been a Sacramento fixture since 1960. 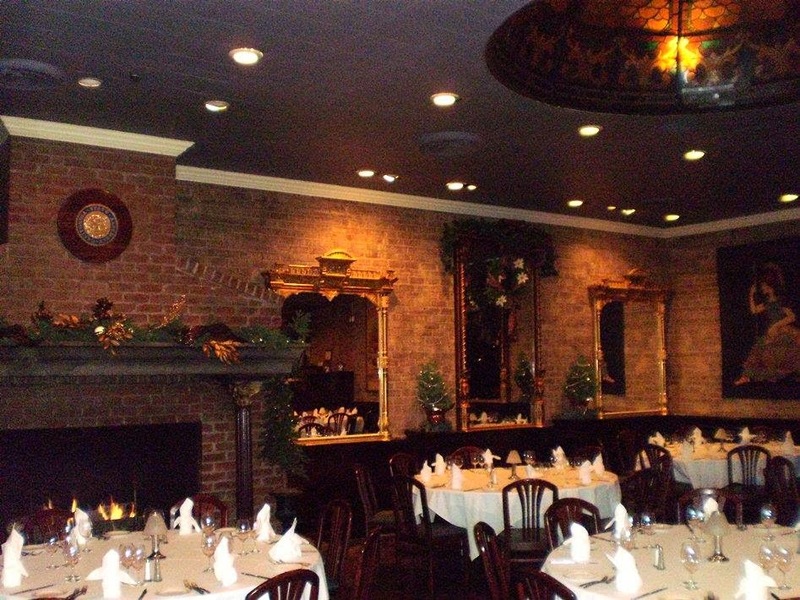 Over the years it has always been one of the best fine dining experiences in town. It has kept that classy, elegant touch of fine linens, top notch service, and beautiful decor within a piece of architectural history. Many an engagement, anniversary, business or political deal has been celebrated here. Yet with the ups and downs of the economy and its own fluctuations in quality over the years, it has survived and remained a local favorite. Speaking of its own quality fluctuations, my Firehouse review on this site is from 2008 and it was not a good review. That was obviously a low point. But as I said, every restaurant has cycles, especially over decades and with ever changing chefs and menus. I've eaten at The Firehouse several times over the decades, but as much as I can recall, it's always been at the upstairs dining room. During this visit I entered upstairs and took the stairs down to the patio and downstairs dining room. I realized there's so much more to The Firehouse just by being in a different part of it. Every section is lovely, yet different. I was greeted by Maro Ortiz, the General Manager and & Sommelier. I had met him a few months ago at Ella during happy hour. I also had a chance to talk to the Executive Chef, Deneb Williams. Williams describes his menu as eclectic, with many "global flavors" paired with French techniques. 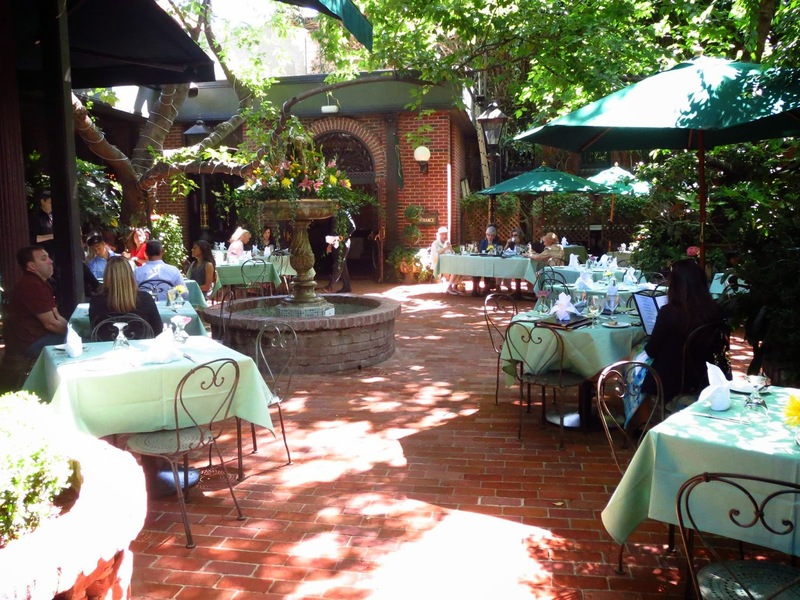 I was seated at a table in the center of a full courtyard. 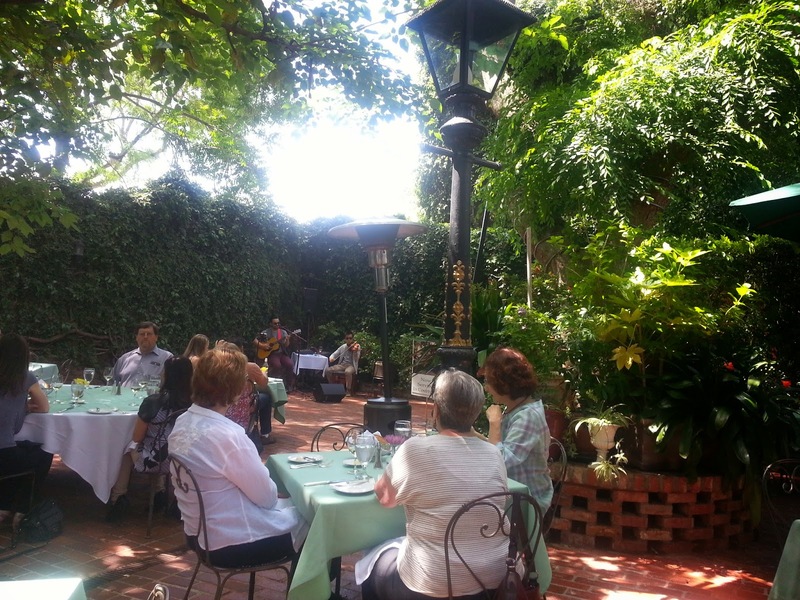 Apparently many had gotten the word that the courtyard was now open for lunch and to celebrate this first day, the restaurant had gotten some musicians to play. Mario says that the musicians are an occasional treat, such as for brunches or holidays. 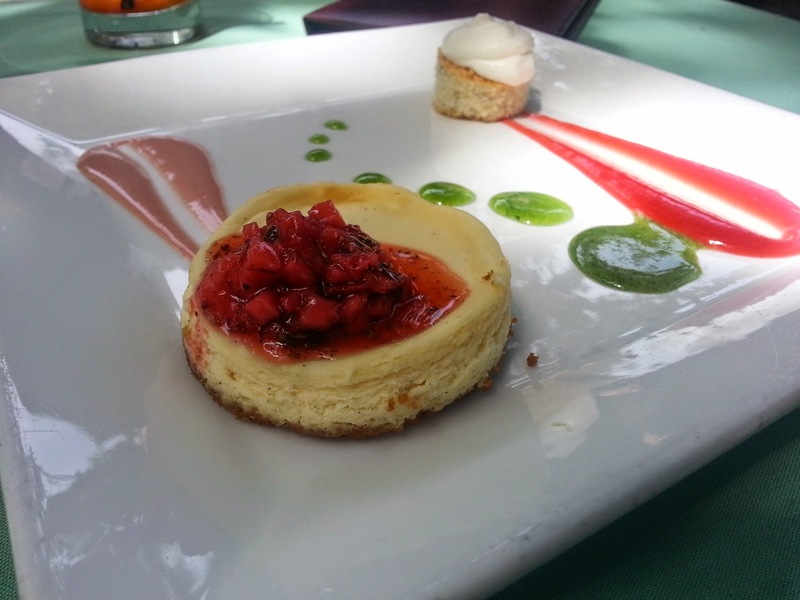 For my lunch I chose the Chevre & Asparagus Soup, Chimichurri Sea Scallops, and then asked for an assortment of desserts for my sweet tooth. Atique Ramen, an Assistant Manager with a mixology background, presented me with a lovely citrus based mocktail since I don't drink. 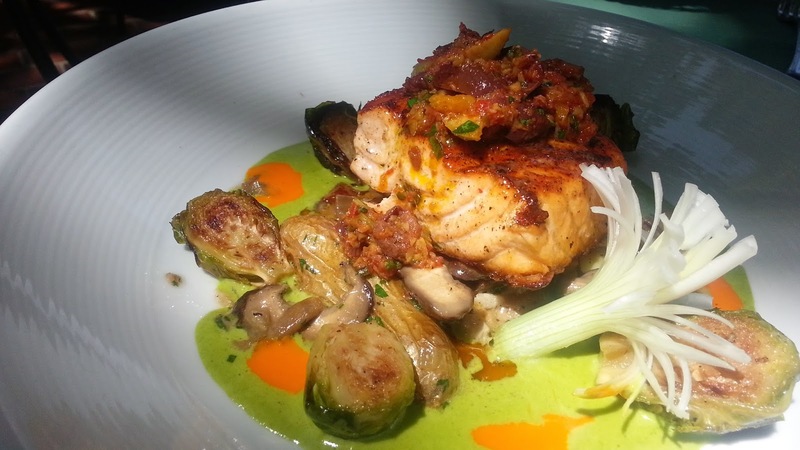 Here is the salmon special with an olive tapenade and roasted Brussels sprouts. 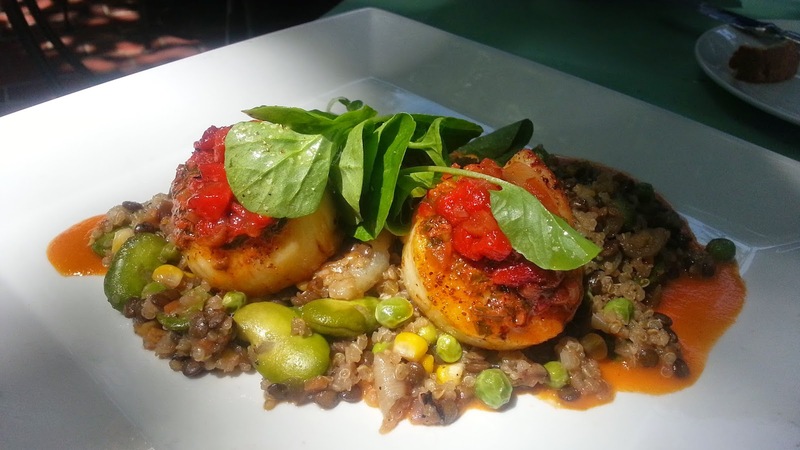 My Chimichurri Sea Scallops were served with a smoked paprika fondue, red pepper chutney, and a quinoa-lentil-spring veggie ragout. 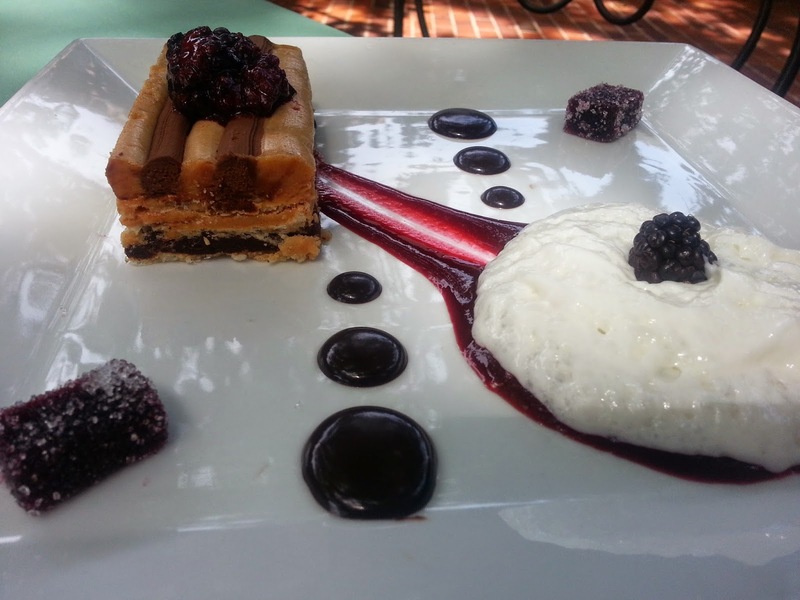 PB&C - peanut butter and dark chocolate marjolaine, malted milk froth, blackberry pâte fruit. Now I have to say, by the way, that I'm not a peanut butter fan, but this last dessert was definitely great and a must-get for any PB fan. They definitely have a talented pastry chef. 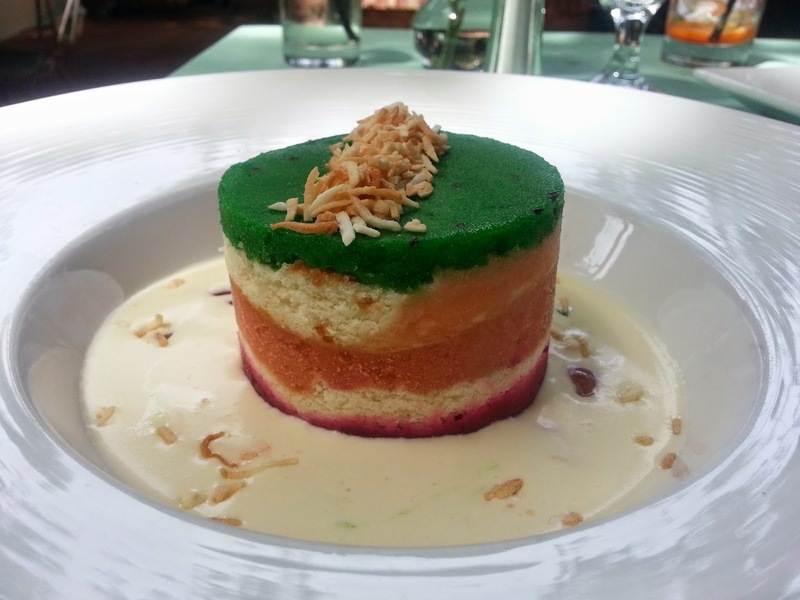 I look forward to going back soon because I just have to have the Grand Marnier souffle for dessert!